Welcome back from the long weekend everyone. We hope you took the time to enjoy the great weather, a great Indy 500 and the Memorial Day holiday. After going over the blogs this morning, we have a few things we thought we’d address. First, Jon Easter says we are “shameful” because we noted that he even admitted some areas of the city really need construction work. It is clear from the comments on the post that Jon is taking some flack from Democrat insiders. Sorry, Jon, we weren’t trying to stir the pot and get you in trouble. We’re willing to bet his post was written after a Kennedy campaign flack got frustrated. Speaking of campaign flacks, Indianapolis Times blogger Terry Burns posted he is hearing there may be a shake-up in the Ballard campaign. We’re going to guess that Terry Burns has as much insider information on the Ballard campaign as Gary Welsh and Paul Ogden do. It seems to us that, again, the Kennedy campaign is getting a little sensitive to the Ballard campaign responses. Lastly, Jon Easter posted on the latest version of Mitch Watch 2012 and the potential that Governor Daniels could be the Vice Presidential pick for the Republicans. Jon seems to think that ruling out the Presidential run for family reasons should also rule out a Vice Presidential potential. While Jon does admit there is a difference between the two roles, he comments that “they both come with a great deal of scrutiny, closet skeleton searching, and an in-depth look at someone’s record.” He goes further saying that was clearly a concern to the Governor. While we think the Daniels’ were probably less than thrilled with the stories regarding their divorce, we really think the idea of a long campaign starting this May and potentially last through November of 2012 if Governor Daniels won the nomination was the biggest problem. Additionally, it is a lifestyle change for the rest of your life if you are elected President. Those seem to be the larger considerations that they mentioned. A Vice-Presidential spot on the ticket is essentially a five month campaign, far less scrutiny and a place in the spotlight without the life altering drawbacks. While we’d prefer Daniels at the top of the ticket, beggars can’t be choosers and we’ll take what we can get. We decided to take a little time off from our blogging duties. The weather got nice, the politics got stagnant and we decided to check out for a while. 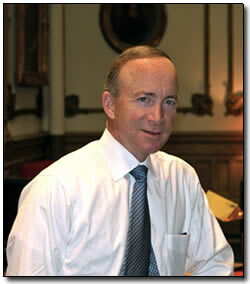 Alas, the dust has settled from the roller coaster ride that was Mitch Daniels considering running for President. We were sick of hearing about it months ago and are thankful it is finally over. Obviously, you all already know he opted against a run. We’re not going to lie. We were surprised he decided against it. That said, we understand the decision to some extent. The Real Clear Politics story shows there was going to be a lot of talk about the Daniels’ divorce and Cheri’s comings and goings. It is understandable that no one would want to relive that time in their lives. Getting out of the race might take some attention away from the stories, but it won’t stop them. Anybody ever seen Primary Colors? (If you haven’t, go watch it. Right now. We aren’t kidding.) They might not hit it quite as hard but they’ll cover it if it will sell one newspaper. Might as well run for President if they are going to cover it anyway. We think it is admirable that the Governor cared so much about his family’s feelings on a campaign for President. We also think he probably shouldn’t have made it quite so clear that the ladies in the family vetoed a run and there wasn’t much he could do about it. That isn’t exactly our idea of protecting your family–and it was totally unnecessary. Regardless, the decision has been made and Mitch Watch 2011 is over. We’re disappointed and looking to see who will step up from the Republican Party. We’re looking at the field and we do not see a winner right now. Feel free to tell us if you think we are wrong and push us toward your favorite candidate. Today, Mike Pence has officially announced to supporters that he will be running for Governor. 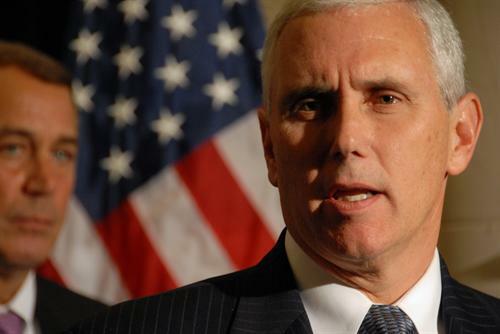 Pence held a conference call, sent out an email and released a video at a newly designed www.mikepence.com. A formal announcement will be held June 11th in Columbus. Speculation that Congressman Pence would run for Governor has been going on for nearly a year since Pence decided not to run for U.S. Senate against Evan Bayh. This was before now Sen. Coats got in the race and then Sen. Bayh got out of the race. 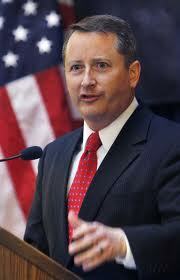 The Congressman spent last fall out on the stump, helping all the close Congressional races and building his team. The announcement was supposed to be on Monday but was postponed due to the death of Osama bin Laden. And, of course, there was the issue of premature announcement yesterday when a pre-timed email was sent out by the campaign saying “Mike for Indiana” with blank text. We are sure someone got into some big trouble for that one. So where does this leave the race for Governor? First, it leaves us waiting for an opponent. We do not believe there will be a viable primary challenger to Mike Pence. On the Democrat side, it seems to be looking like John Gregg for Governor with Joe Donnelly opting for the U.S. Senate race. Second, it leaves the race as a bit of a toss-up/leans Pence. Indiana is a Republican state but John Gregg is a conservative Democrat from the South and could potentially pose a threat. The real question for us is if Mike Pence can find a message that works for the General Election. While his strong, conservative stances on social issues have played well in conservative crowds nationally and here in Indiana, they may not be winning issues in a general election. President Obama will be on the ticket so that could be a challenge– unless Mitch Daniels is the Republican nominee and that would greatly benefit Indiana Republicans. We told you there would be numerous calls for Charlie White to resign his seat as Secretary of State after being indicted for voter fraud and there have been. The Governor did and said he had spoken with the other statewide elected officials and they are in total agreement. Indiana Republican Chairman Eric Holcomb weighed in saying White should step down at least until the legal process runs its course. Former Secretary of State and current U.S. Congressman said he should step down. The Evansville Courier-Press gave White a few jeers in their Cheers and Jeers column and said he should step down. And Matt Tully of the Indy Star wrote a blistering column saying Charlie has got to go. What does Charlie White say? According to Abdul, Charlie text him saying he has no intention of stepping down. The whole thing reminds us of someone who has had too much to drink and won’t leave the bar. The lights are on and there is no one left at the party, Charlie. It is time to go home and try to sleep it off.